This uniquely composed photo focuses on the toddler son while also conveying a strong family dynamic. The little guy is dressed in a blue button down shirt and khaki bottoms while mom and dad complement the color scheme with their denim. The boy is looking directly into the camera and has a lovely hair light haloing his frame. 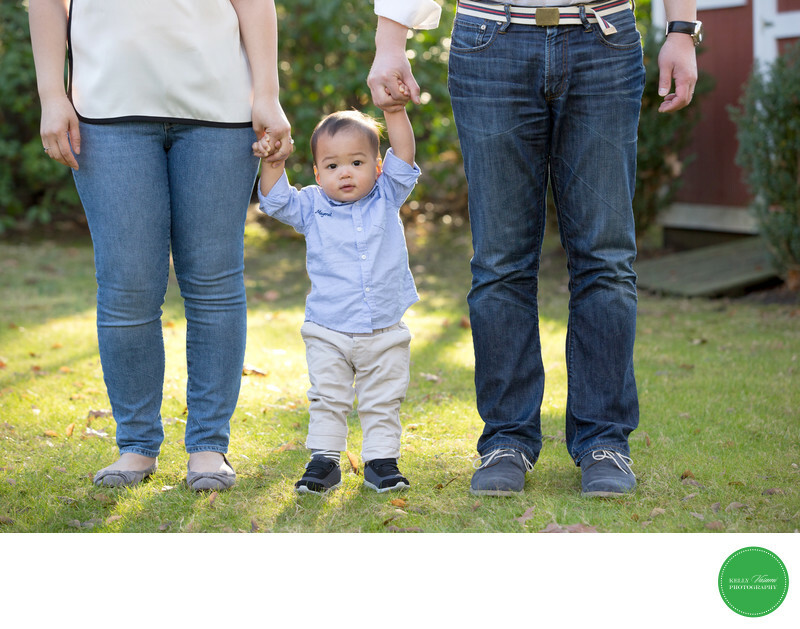 While mom and dad's faces are not shown, the photo subtly conveys the strength of a family unit with hands interlocked and the tall stance of his mom and dad beside him. A natural setting of backyard grass with a few strewn leaves complements the relaxed nature of this loving family portrait.